Mazda MX-5 Convertible Running Costs, MPG, Economy, Reliability, Safety | What Car? Aside from the less focused Fiat 124 Spider, the MX-5 is the only new two-seat sports car you can buy at this price level. Even the Toyota GT86, which doesn’t offer a soft-top option, is quite a lot more expensive to buy. A a relatively lightweight car with pretty efficient engines, the MX-5 shouldn't prove too costly to run. Indeed, both the 1.5 and 2.0 promise to return more than 40mpg under WLTP testing, and we've regularly experienced similar results in real-world testing. 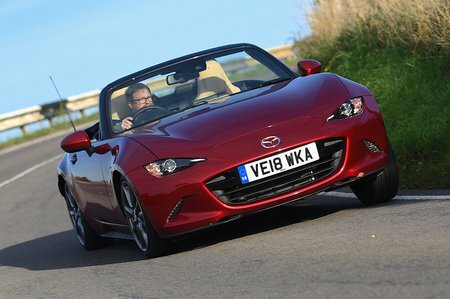 In fact, in our True MPG tests, the 2.0-litre gave an impressive 45.1mpg – exceeding Mazda's claims. PCP finance deals may prove tempting. Interest-free or cheap monthly payments are routinely offered, albeit they're often dependent on a hefty customer deposit. Services are due every year or 12,500 miles, whichever comes first, and while Mazda’s fixed-price service plan isn’t the cheapest around, it’s a reasonable cost and can be paid in monthly instalments. Entry-level SE+ cars come with air conditioning, alloy wheels, two USB connectors, a leather steering wheel and bright LED headlights (rather than the halogen lights fitted to most cars at this price). We’d go for SE-L Nav+ trim, though, because it adds goodies such as climate and cruise control, LED daytime running lights and 16in wheels. A comprehensive infotainment package includes a six-speaker stereo, sat-nav, smartphone connectivity, Bluetooth and a DAB radio, all operated through a 7.0in colour screen. Go for the more powerful engine and you also get bigger 17in wheels and a limited-slip differential. Sport Nav+ trim throws in extras such as heated leather seats, automatic emergency braking, rear parking sensors, automatic lights and wipers and an upgraded stereo. Again, a model with the bigger engine gets even more, including 17in wheels, sports suspension and a limited-slip differential. It's a fair bit more money, but we'd be tempted to say it's worth it for the added safety kit and improved handling. 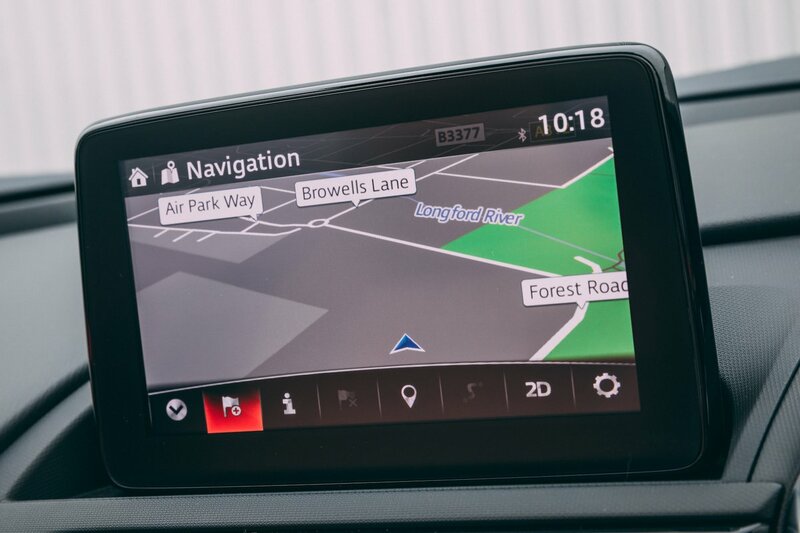 Because Sport Nav+ is so well equipped, we'd say top-spec GT Sport Nav+ models aren't worth the extra – they only add a few cosmetic updates and the reversing camera. The MX-5 performed averagely in the 2018 What Car? Reliability Survey, scoring three out of a total of five stars. Mazda as a brand did far better, however, coming 12th out of 31 manufacturers which puts it ahead of rivals such as Fiat, Mini and Citroën. The MX-5 gets a three-year, 60,000-mile warranty, with three years of European roadside assistance included. Euro NCAP gave the MX-5 a four-star crash test rating back in 2015, with individual scores that match or beat the Audi TT. As standard, it gets roll bars, stability control and four airbags, along with a bonnet that springs up to help limit pedestrian injuries in an impact. There’s also an Isofix child seat mounting point. Sport Nav+ trim adds automatic emergency braking, lane departure warning and traffic sign monitoring, while GT Sport Nav+ brings blindspot monitoring, a reversing camera and rear cross-traffic alert. Thanks to a standard alarm and engine immobiliser, Thatcham Research gave the MX-5 a maximum five stars for resisting being stolen and four stars for preventing being broken into. Obviously, the soft-top will still allow easier break-ins and might prove more tempting to vandalise than the RF's folding hardtop. 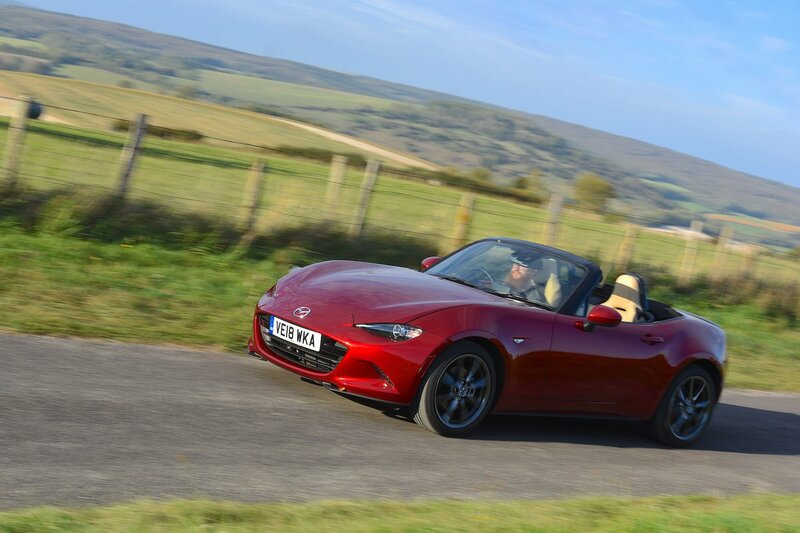 The Mazda MX-5 is a terrific two-seat convertible that's great to drive and won't cost a fortune to buy or own. It might only be as fast as a Ford Fiesta ST, and doesn't have the interior luxury of a Mini Convertible, but you can't beat it for pure driving enjoyment.